While out on a skiing and hunting expedition in the hills around his village, Ashatu carries a heavy log for firewood, which they use to keep warm in the minus 40 degree winter nights. The skis's base have horse-hides permanently attached for traction. In the far northern corner of Xinjiang province, in the Altai mountains, one can find the last remnants of a culture that possibly invented skiing. The area is populated by a mix of ethnic Mongolians and Tuwas, who handmake their own rudimentary wooden skis in the same way as their forefathers thousands of years ago. 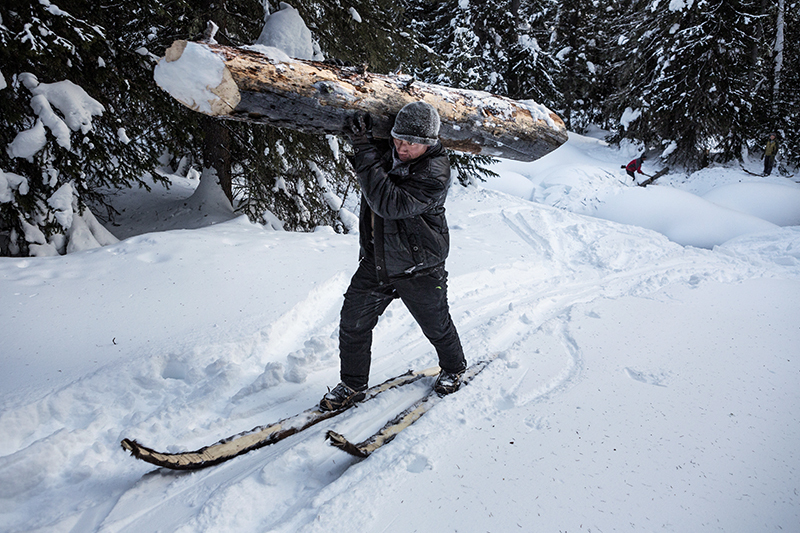 The skis are used for getting around rugged terrain and hunting animals. Today only a handful of small villages still have people who practice these ancient skills. With modernity arriving in the area with new access roads, and young people migrating elsewhere, this culture will most likely disappear within a few decades.